The Christmas spirit bug has ruthlessly stalked me and finally dug its long incisors into my flesh. I feel like the Grinch after his “A-Ha” moment and my heart has grown three sizes and then some. As you may have read in an earlier post, we came up with the idea to do the first ever toy drive at Shamrock Lodge this year and the response has been overwhelming, to say the least. 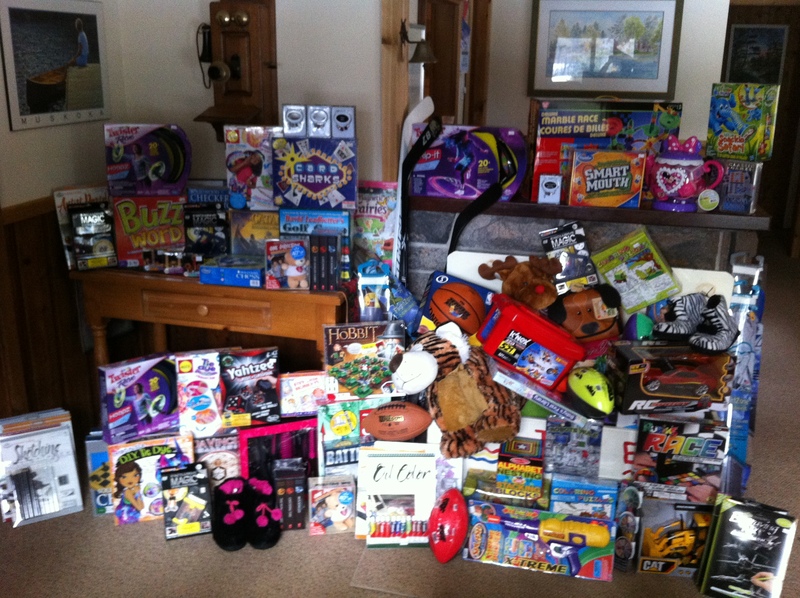 Not just toys have entered our Muskoka lodge, but monetary donations have been flowing in from all over the map. I had the fun of shopping on Thursday at our local toy store where ALL toys are 50% off – so not only did we get to buy toys for the kids, we got twice the number of toys than originally anticipated! Win, win. Today is the day we deliver the first round of toys to the OPP Toy Drive and make what will be the first of two contributions this year. The money is still coming in and people have until the 20th to drop off toys to the lodge. I hope this bug bites me every year!